The hits and misses keep on adding up through the first five weeks of the 2016 fantasy season. We continue to have underperformers in which hope is slowly dying and overachievers whose confidence is flying high. It finally time to cut bait on the dead weight? Remember, in most leagues there are only seven regular season weeks left and the time to make moves is dwindling away. Fantasy Football is always about What Have You Done For Me Lately? and is pretty much constructed of streaks. We are high-powered place holders, with a zero investment vision for the future. In layman’s terms, tell those stiffs to take a hike! Alex Smith (@OAK) – I know Alex Smith is the King of Dink and Dunk, but this week he will polish off the rifle. There aren’t many games where the Chiefs decide to throw downfield on a consistent basis, but this week they are facing a secondary that Gorilla Glue couldn’t even hold together. This is my pick for shootout of the week and Smith will be on the winning side of it. 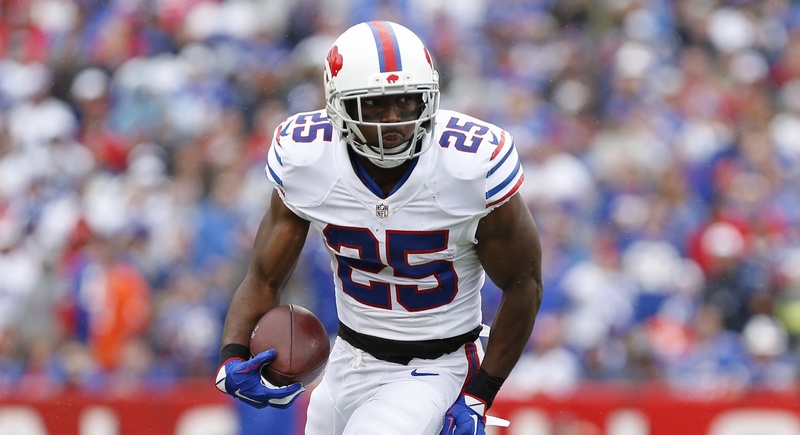 LeSean McCoy (SF) – Guess who’s back? Shady’s back. LeSean was thought to be dead and washed up in the eyes of Chip Kelly, but this year he is proving otherwise. LeSean showed flashes of the Shady we had come to expect, but not at a consistent level. This year he has that extra step back and the elusiveness he showed in his first years in the league is reborn. He continues to be a top fantasy RB this year and with the rash of injuries we have witnessed, could very well finish in the top five. T.Y. Hilton (@HOU) – Hilton may very well be Fantasy Football’s #1 WR. He is the only player that has been targeted 10 times or more through the first five weeks of the season and his speed is second to none. The Colts haven’t necessarily been explosive on offense this year, but a matchup with a team that seems to be leaking oil is just another chance for T.Y. to shine.